MADE IN THE USA! 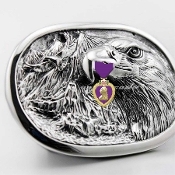 Purple HeartAmerican Eagle Belt Buckle. .
Silver & Gold 3 3/8" x 2 1/4"
Our NEW Golden American Eagle Purple Heart Bolo Tie. Our New Purple Heart Tie Bar. The Bar is 2 1/4" long with the Heart in 3D 1 1/4" tall. MADE IN THE USA! 3D Purple Heart Belt Buckle. . 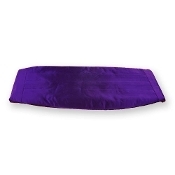 Measures 3 1/2" x 2 3/4"
Our New, Beautiful Royal Purple full length necktie. 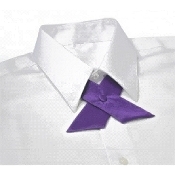 Designed to match our Purple Mens Tie, we now have a Ladies Cross Over Tie. 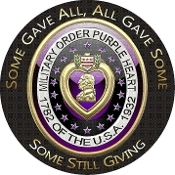 These can be made with or without the Purple Heart. 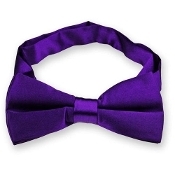 As requested we now stock a beautiful Purple Bow Tie Features Bow measures approximately 4.5" across and 2.25" high on the ends Band collar expands to fit neck sizes from 12" to 21"
Our Replacement Name Badge for the Pocket Sleeve Badge Holder. Due to title change, Chapter Change and other situations we do offer a replacement name badge to fit the badge holder. 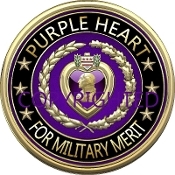 Our New Custom Created Solid Brass Purple Heart Money Clip. Set of TWO 15oz Ceramic Coffee Mugs with the MOPH Logo Delivered Free.. Also available in case (36) mug purchase Personalized with your Chapter or Department. Our EXCLUSIVE 3D National Logo Mouse Pad. Measures 8"Circle and is 1/4" thick. Our photo quality image is baked into the material and will not crack, peel or fade..
Set of TWO 15oz Ceramic Coffee Mugs with the MOPH Logo and Full Medal Delivered Free.. Also available in case (36) mug purchase Personalized with your Chapter or Department. Call for Special Discount Pricing.